The Ceylon-German Technical Training Institute (CGTTI) has made its presence in TVET sector in Sri Lanka as the leading training institute for providing skills to craftsmen and technicians in the field of Automobile Engineering and allied trades. The Institute was established in early 1959 at the premises of central workshop of Ceylon Transport Board in Werahera and shifted to Katubedde in 1974. This training arm of the CTB was the consequence of an agreement between the Governments of Sri Lanka and the Federal Republic of Germany for training skilled workers to maintain the government bus fleet. 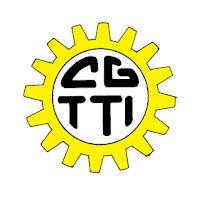 Initially it was under the administration of Ceylon Transport Board, later when CTB became the Sri Lanka Transport Board, Institute came under SLTB and in 2005 CGTTI was assigned to Ministry of Transport. CGTTI was transferred from Ministry of Transport to Ministry of Youth Affairs and Skills Development in 2010. The institution can best be described as a specialist training centre in Sri Lanka and has a reputation of producing skilled technician employable in foreign labour Market. Its main institute is located at Angulana Junction, Katubedda with a branch with facilities for training in Auto Electrician and Vehicle Body Repairer and Painter occupations with Basic Training as well at Borella. However this branch is expected to be closed down while its trainees will be transferred to the main institute at Katubedda in 2017. Produce skilled persons required locally and internationally.